Is a cryptocurrency hard fork taxable? If it is a taxable event, what is the date and amount of taxable income to be reported on the tax return? A majority of my clients with investment in cryptocurrency ask me such questions when filing taxes. 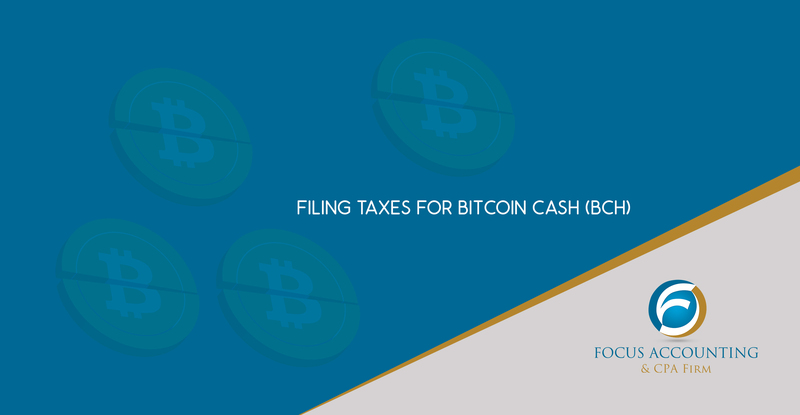 As the IRS continues to remain virtually silent on taxation of cryptocurrency even after the creation of Bitcoin Cash and other hard forks, it is left to tax professionals like me to address these questions. Bitcoin Cash was created on August 1, 2017, when the Bitcoin blockchain split to be the Bitcoin (BTC) and the Bitcoin Cash (BCH) forks. BCH can now be traded on many exchanges, including GDAX, Kraken, Bitfinex, Bittrex, ViaBTC, and OKCoin. Coin base initially said they would not support BCH, but changed their mind and decided to support it from December 19, 2017. BCH is essentially free money if you owned BTC before August 1, 2017. Anyone who held BTC before the fork is able to receive an equivalent amount of BCH. For example, if you owned 10 BTC in your core wallet, you had access to 10 BCH since you had the private keys. However, free money is income and income is taxable. The hard fork satisfies all of the criteria for taxable income set forth in the landmark US Supreme Court decision, Commissioner v. Glenshaw Glass Co. The IRS, in their 2014-21 Notice, clarified that mining is to be treated as income on the date the assets are received. The price would be their fair market value, i.e., the price for which they were immediately sold or the daily price of the digital currency. Therefore, you should report the BCH as income for a market value. This also becomes the cost basis. You will need to report that as capital gains income and pay the appropriate taxes. When you sell the BCH, you can subtract the proceeds from this cost basis, which is your capital gains or losses. If it is treated as having a zero cost basis, then there is nothing to report for the time being. However, when you sell or spend your BCH you will take the 100% proceeds, and therefore should report it as capital gains income. For example, if you use the zero cost-basis approach and you owned one BTC before the fork, you have one BTC and one BCH after the fork. When you sell your one BCH for $300, then you will need to declare a $300 capital gains income. Tax rates on it depend on your circumstances and other income, but if you sell the BCH within a year, it will be normal tax rate, e.g., 25%. If you hold on to it for more than a year, you will benefit from the reduced long-term capital gains rate, e.g., 15%. How are you treating/have treated Bitcoin Cash or other cryptocurrency hard forks for your tax return filing? Please let me know in the comments below.